This issue requires a statewide task force comprised of the governor’s office, state agencies and lawmakers, the courts, law-enforcement agencies, community health-care providers and citizens. A homeless woman with schizophrenia, tormented by frightening hallucinations, is caught shoplifting an apple from a grocery store. Police are called, and the woman becomes combative. Because of her behavior, she is arrested and placed in isolation at a local jail. She refuses to eat or take medications because her delusions tell her that she will be poisoned if she does. She is ordered by the court to be evaluated for competence to stand trial at one of our state’s inpatient facilities. Unfortunately, there are no beds available at the hospitals due to an ever-growing waitlist. She’ll wait in her jail cell for several weeks before transfer to a state hospital. This example, while fictional, is commonplace in Washington, which remains in a state of emergency when it comes to addressing the mental-health needs of individuals in the legal system. A ruling from a 2015 class-action lawsuit against the state of Washington’s Department of Social and Health Services directs the state to provide certain defendants in-jail evaluations within 14 days and admission into state hospitals within seven days for inpatient evaluation or restoration treatment. The court’s decision to fine the state for its failure to comply with the ruling and inability to meet the increasing demand for services, has resulted in more than $23 million of taxpayer dollars in penalties to date, but no solution to the problem. 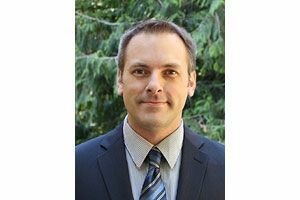 David D. Luxton is a psychologist, workforce development administrator with Washington’s Office of Forensic Mental Health Services and associate professor with the University of Washington School of Medicine. While enhanced funding and improvements to the system have been made by the state, the crisis persists because of a multitude of problems and barriers that can only be solved and overcome with a collaborative approach and full engagement by all sectors involved and impacted. One of the more significant barriers is the lack of hospital beds available for evaluation or restoration services to meet the increasing demand for these services. Gov. 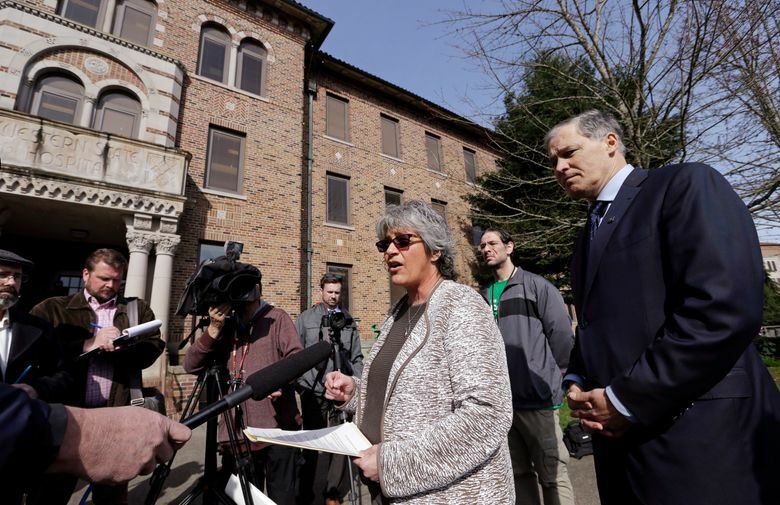 Jay Inslee’s long-term plan to convert the Eastern and Western State Hospitals into “forensic centers of excellence” could help by increasing bed capacity and streamlining services. Unfortunately, hospital space does not just materialize out of thin air. The infrastructure will take years to establish, and the legislature’s failure last session to pass a capital budget has, at least temporarily, stalled existing plans for partial expansion. Attorneys and judges must consider all options available to them, such as diversion programs, when choosing a course of action or making a ruling. While some strides have been made to develop and coordinate programs that divert people with mental illness away from the legal system and into more appropriate mental-health treatment programs, more can, and must, be done. Strategic investments in and coordination with community behavioral-health services are crucial. The trend of increasing referrals for competency assessments and restoration services can be expected to continue because of reliance on the legal system as a means to get persons in need into state provided mental health treatment services. Though the increasing demand for mental-health services for individuals in correctional settings or awaiting trial is a trend nationally, our state must do more to address this issue facing underserved populations entering and recycling through our legal system. Fining the state and throwing money or other resources at only one aspect of a problem will not solve it. This issue deserves and requires a statewide task force comprised of the governor’s office, state agencies and lawmakers, the courts, law-enforcement agencies, community health-care providers and citizens. The task force should not provide yet another study of the problems, but instead should be charged with making specific and actionable recommendations for policy change, funding, and vital coordination between the legal and health-care systems. Most important, all stakeholders must be held equally accountable for the development and successful implementation of systemwide reforms, changes and improvements. It is time for everyone to come to the table and collectively take responsibility and work to meet this ethical, legal and moral obligation for the citizens of our state.